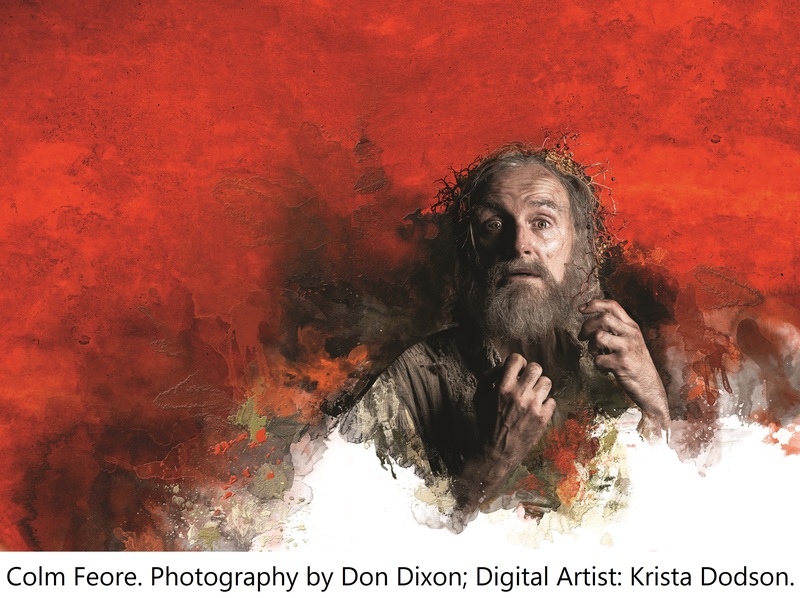 Join the CAGP on September 10th for King Lear at the Stratford Festival. Registration today to confirm your seat! Those of us who work in acute care settings regularly encounter older patients whose past histories are mysteries, who are unable to provide an HPI, and yet demonstrate florid mental status abnormalities that require urgent treatment. It is up to us and our teams to faithfully investigate the patient, and reach out to all available alternate sources of information, often conflicting, in order to make sense of the story. This challenge is daunting at the best of times, and yet was cogently and presciently described almost 400 years ago in William Shakespeare's masterpiece, King Lear. Lear is the story of a king in his 80s who has decided to divide his estate before his death among his three daughters. Wrongly banishing his faithful daughter, and trusting the treacherous ones leads him nearly naked into a storm and into madness, while at the same time learning about what it is to be human and to die. My limited exposure to Shakespeare in high school effectively quashed any interest in seeing his plays until about 12 years ago when I first saw Lear at Ontario's Stratford Festival. Through the lens of a geriatric psychiatrist, it contains many mysteries of differential diagnosis (is he delirious? was he demented from the start? was he manic?) Besides that, it's a thrilling play of late-life mental illness highlighting care-giving, abuse, testamentary capacity, violence, and the "... crawl toward death". I have seen many different productions of this play, and come to different conclusions each time. It is perhaps because of this and its universal themes, that Lear has never been dull. At our Annual Scientific Meeting this year, I will be presenting a talk entitled "Lear's Shadow" in which I highlight the play and it's lessons and relevance for differential diagnosis in contemporary geriatric psychiatry. Additionally, the CAGP is offering the opportunity for a "road trip" on Wed Sept 10, departing the Eaton Chelsea hotel at 3pm to Stratford, Ontario (a two hour drive) to see Colm Feore in King Lear. A fee of $150+HST will cover round-trip transportation, dinner at the Festival Theatre, and A+ seating for King Lear. The play is being directed by Antoni Cimolino, the new Artistic Director of the festival who has staged magnificent productions of the Merchant of Venice and Cymbeline in recent years. Besides starring in many plays at Stratford over the last decades, Colm Feore is known for his extensive film and TV work, including "Thirty-two Short Films about Glenn Gould", "24" and "The Borgias". I'm excited, in particular, about the supporting cast of Lear this summer which will include some of the best of Canadian theatre talent. As Lear's protectors, they have announced Stephen Ouimette as the Fool and Jonathan Goad as Kent, and as the "pelican daughters", Maev Beaty as Goeneril and and Liisa Repo-Martell as Regan. Here Feore discusses the impact of memory loss on Lear's journey, and here you can find out more about the production. Tickets are limited and are on sale now! Please contact Andrea at events@secretariatcentral.com if you have any questions. Tickets can be purchased when you complete your registration for the conference.